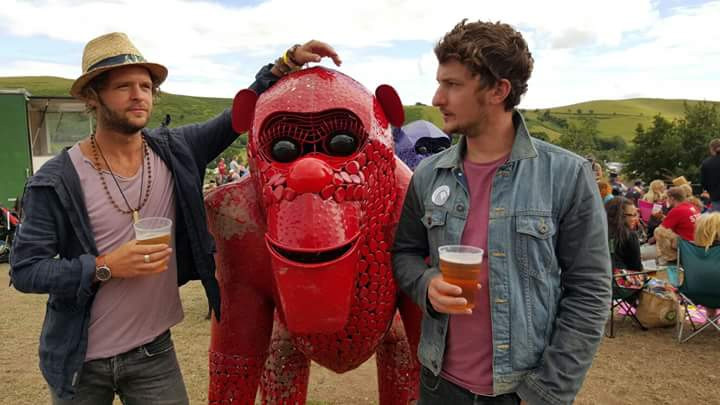 Cooper & Davies return to the festival this year and will be making two appearances, bringing their rootsy Americana style to Bayards Fort and the Harbour Bar. Originating in Shropshire, Cooper & Davies combined as a duo after some years of solo and band work, developing their own style and sounds, which draws on the traditions of country, blues, bluegrass et al. Si’s (Davies) driving groove on guitar and rock steady drum beat is anchored by Rob’s (Cooper) easy rolling bass with the addition of hi hat and wailing harmonica, all backing up a harmony driven sound. Resonant hooks and flowing melodies inform their set lists, which reflect their influences and interests and contain an increasing proportion of their own material. The latest release ‘Feelin’ Time’ came out in early January. An ever expanding circuit of gigs and festival appearances reflect the growing popularity of this duo’s brand of good time music, guaranteed to leave audiences with toes tapping and faces smiling.